18 year old OLABIMISI OLUWATOSIN AKINTUNDE a versatile, young and fast-rising artiste who goes by the stage name T Swaggz Banks. An undergraduate of THE POLYTECHNIC IBADAN studying INSURANCE. Tswaggz banks is known to be an Indigenous Rapper/Singer who's yet to get the deserved attention from the music industry and the entire populace. “STREET KING“, a track delivered mostly in his indigenous language Yoruba with a blend of English & Pidgin. 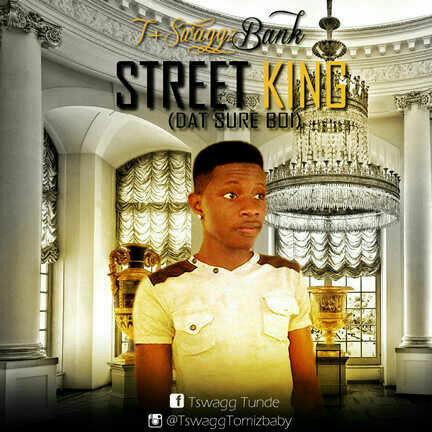 Watch out for more mind blowing joints and collaborations from this uprising rapper/singer, T swaggz Banks. Download this track and get to see what the definition Of what Indigenous Rap is.